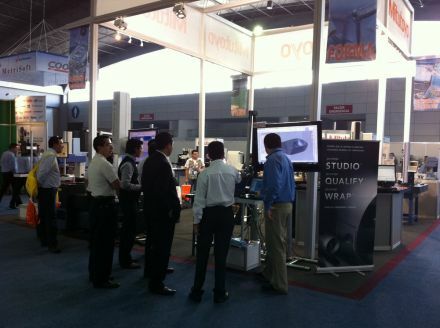 The Geomagic team is showcasing at TECMA this week in Mexico City. 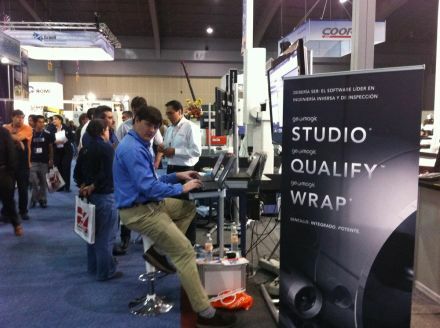 If you aren't familiar with this event, it is the only show in Mexico which specializes in machine tool technology and any peripherals and equipment that relates to it. This is our first time at the event, and so far, we're having a great time! We've been busy meeting new customers, and even providing some on site training for people who are already familiar with our products. Greg has been so busy he's working two laptops at once! We would like to thank Mitutoyo for allowing us to be on their booth for this event. If you plan on attending, please stop by and say hello to Greg and Kamal!